In addition to being knee-deep in post-production on his next directorial feature, Pacific Rim, filmmaker Guillermo del Toro is also juggling a number of other projects in various stages of development. 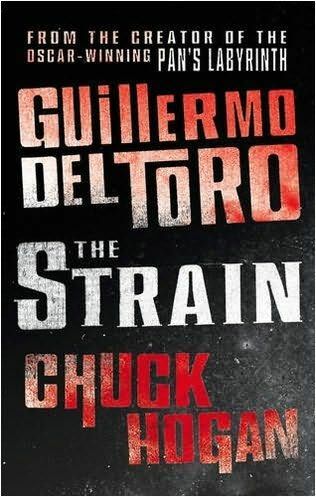 One such project that many are keeping an eye on is an adaptation of the vampire trilogy The Strain, a book series that he co-wrote with Chuck Hogan. FX has given a pilot order to the TV series adaptation, and Lost showrunner Carlton Cuse is also onboard to help develop the show, which is being planned for a limited run of three to five seasons. Steve recently had the chance to speak with del Toro during a phone interview in anticipation of the release of the DreamWorks Animation film Rise of the Guardians (which he executive produced), and the director gave an update on The Strain, revealing that production on the pilot will get underway next year, likely in Toronto. Hit the jump for more. Look for Steve’s full interview with del Toro closer to the release of Rise of the Guardians.